As spring looms, now is the perfect time to simplify and be present. What could be simpler than books with one-word titles? They are easy to remember and find in a local bookshop or library, uncomplicated and entertaining. 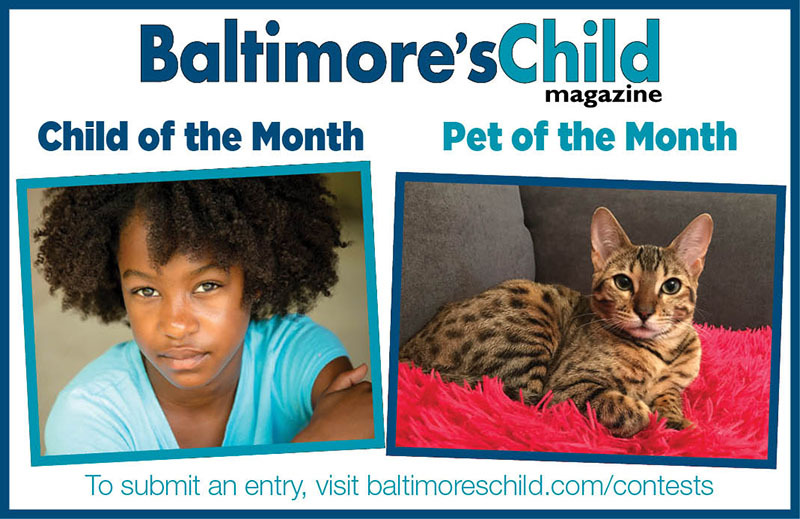 This is also the monthly theme for Baltimore County Public Library’s 2018 Reading Challenge #BWellRead. Gather your favorite little people, find a comfy place to read and crack open one of these magical books. Special thanks to Rona Sue London at The Ivy Bookshop for her insights and enthusiasm, and for letting us pore over a mountain of books as we whittled down our favorites. 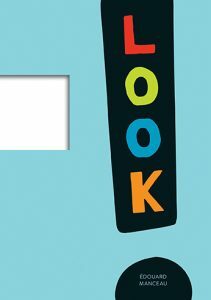 “Look” is a creative and unique board book, sporting a rectangular hole in the middle of each two-page spread, inviting little readers to look through the hole and view their world anew. 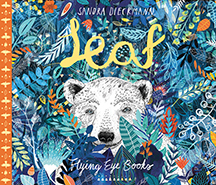 Each page asks a question: Do you see anything colored? Something down or up? Something that moves? A shiny object? It’s a fun way to encourage and engage youngsters to notice and appreciate the magical and mystical world we live in. 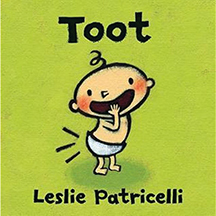 Ms. Patricelli has cornered the market once again with her humorous and cheerful books about all things baby and toddler. Chunky, glossy pages with muted primary colored illustrations showcase a little baby and his new and exciting world discoveries. “Toot” explores the various sounds his body makes — primarily tooting! — where, when and who toots, and how incredibly funny it is. “Hair” shows how one’s hair grows, caring for hair, washing and decorating your hair and the exciting event of a first haircut. This book showcases various types of love and how people demonstrate devotion through acts of kindness, support, protection and caregiving. 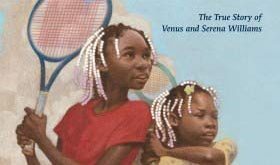 The stories are told with a layered palette of characters, where all readers can find themselves within the pages, and in varied situations, such as a boy in a wheelchair giving a homeless man a meal, viewing the stars above your trailer home, a community of children dancing under the cascade of fire hydrant water on a hot summer day, acceptance of self as a girl embraces the reflection looking back at her in the mirror, or the love of a grandparent caring for the next generation. 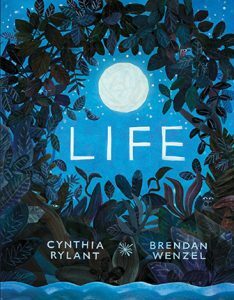 This poignant story will be equally relatable for both child and adult reader. 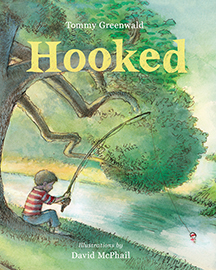 Joe loves to fish, but his father doesn’t share the same passion, and cannot appreciate his child’s fascination with an activity which seems trivial to him. Yet, an opportunity presents itself which serves to bridge a gap and create a connection between parent and child. An important and relevant story about reserving judgement of those who are dissimilar and finding the common thread that weaves us all together. This tale follows the plight of a lost polar bear who is stranded in a foreign land and yearns to return home. His differences – in both appearance and manner – rattle the animals, who organize a meeting to discuss how to handle his unusual presence. 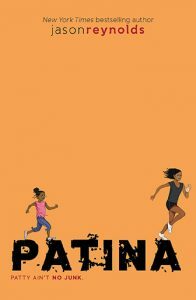 In the follow up to “Ghost,” which was the first book of this series, Patina, known as Patty, is a new member of her school’s track team, comprising gifted runners. She’s often the odd person out: a child with a complex family background, an African American girl amongst a sea of Caucasian kids, a newbie at her fancy new private school. Now she is forced to learn that in order to succeed, you sometimes need to get out of your own way. 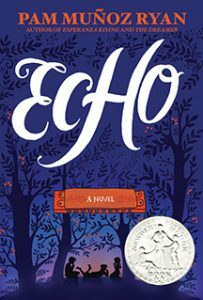 “Echo” is a unique and spellbinding story about a lost boy, Otto; a mystical forest; a rescue and an enchanted harmonica. What begins as a fairy tale hops to three separate historical fiction story lines. 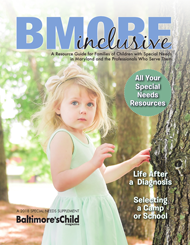 Each child has obstacles to surmount, and though their stories are unknowingly intertwined, the central thread which pulls them all together is the mystical harmonica. High school freshman Daniel is the underdog that readers will be rooting for. 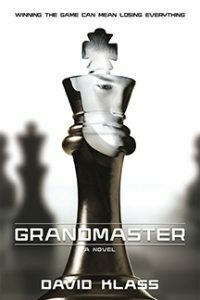 He joins the school chess club, despite being a novice, and is flattered by an invitation to join in a weekend father/son chess tournament. When he discovers that his teammates’ invitation was a complex ruse, Daniel uncovers a secret, and must make his own decisions about the price one pays for acceptance, success and the seductive lure of competition. The first novel in a new sci-fi series, our protagonists are Ezra and Kady, exes who swore they never wanted to see each other again, yet must come together when their planet is invaded. 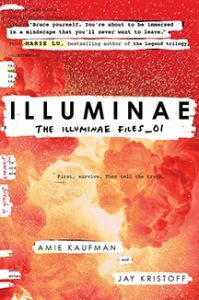 Further chaos ensues in this fast-paced story, which is told via email exchanges, stolen dossiers — complete with redacted and edited materials — maps, reports, text messages and dialogue.